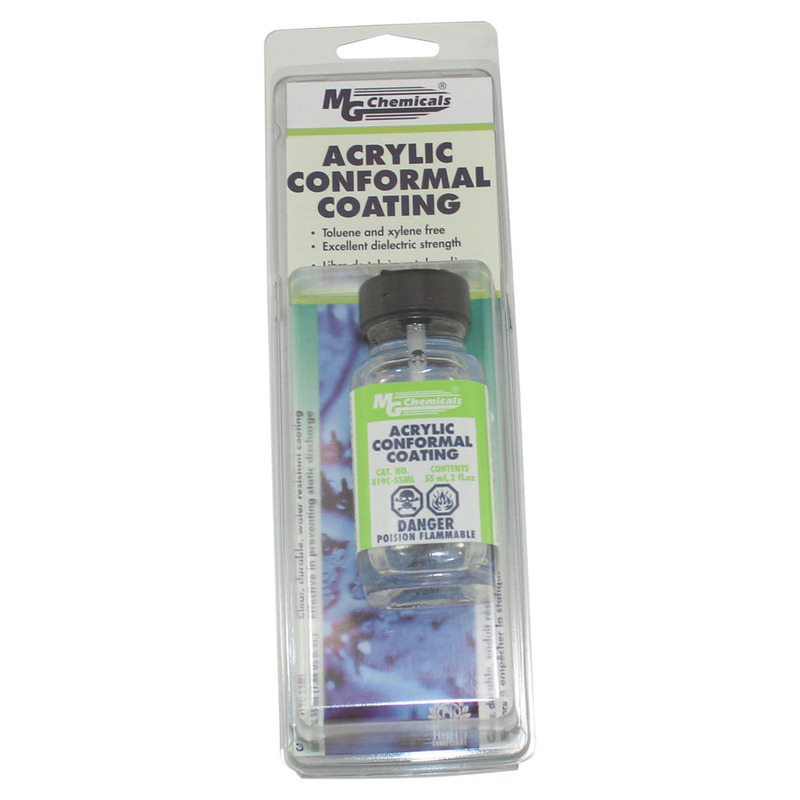 Acrylic Conformal Coating - 2 oz. 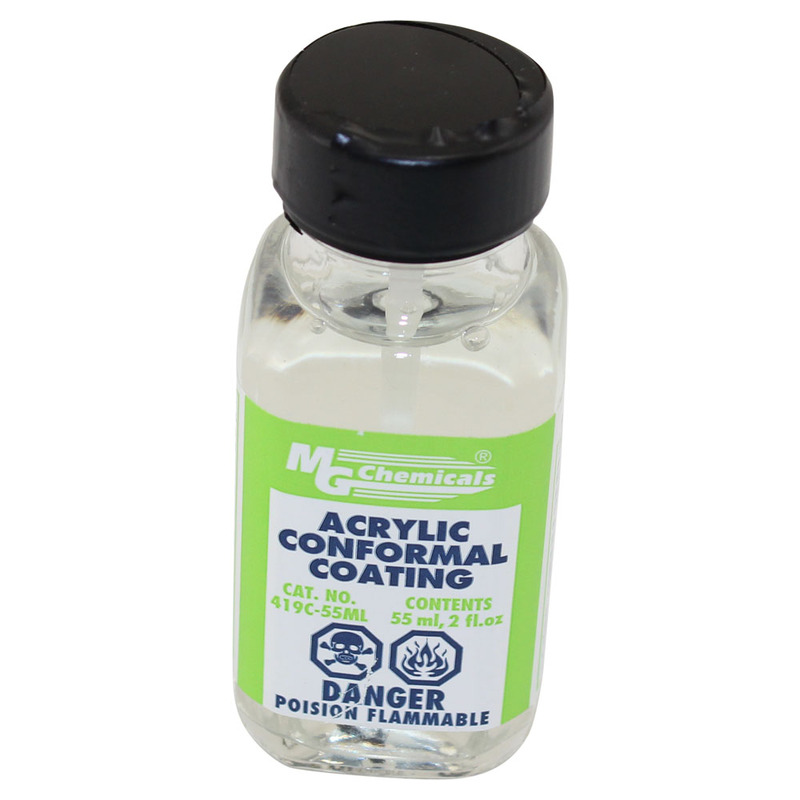 Our 419C acrylic conformal coating is an IPC 830 certified, fast drying, xylene and toluene free product that provides an excellent finish. This one part coating is easy to use and does not require special or costly equipment to apply. It is ideal for high moisture environments and applications requiring easy repair and rework. The 419C coating protects electric circuit against moisture, dirt, dust, thermal shocks, and scratches that could corrode, short circuit, or otherwise damage the electric component. It insulates against high-voltage arcing, shorts, and static discharges. As well as, this coating provides a high dielectric withstand voltage that allows traces to be put closer together helping with miniaturization. Super fast cure reduces production and maintenance bottlenecks. 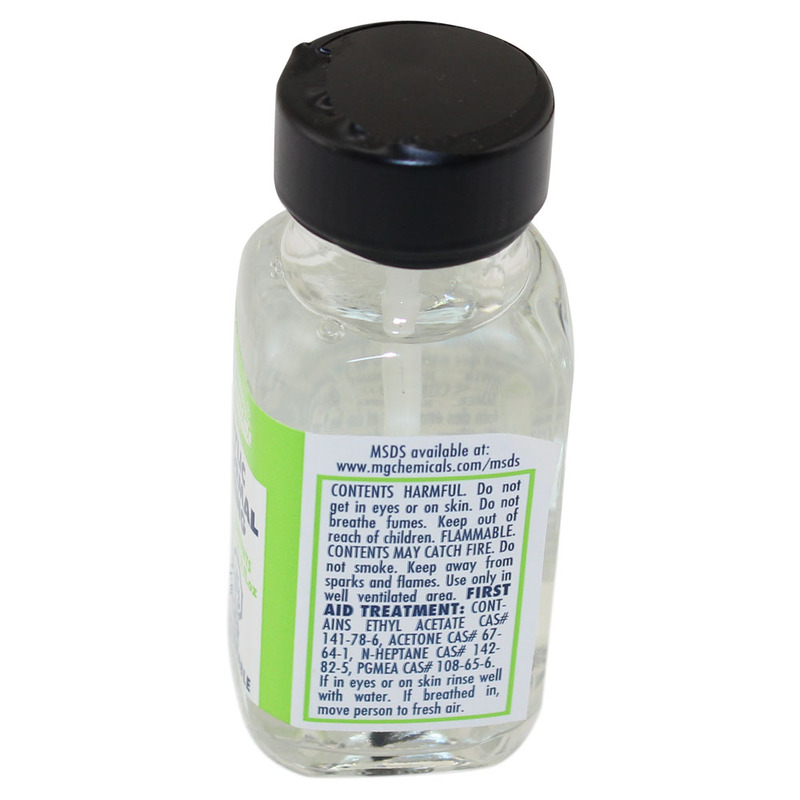 Externally qualified to IPC-CC-830B by Pacific Testing Laboratories, Inc.